We've taken a lot of epic road trips in our travels. From one-day epic drives to a 3-months road trip across 12 countries. We've done them all. and here are the best of what Dave and I have seen and done. We never made a list of just how many road trips we've done until we hosted a Twitter chat about the world's best road trips with Johnny Jet and Chris McGinnis. 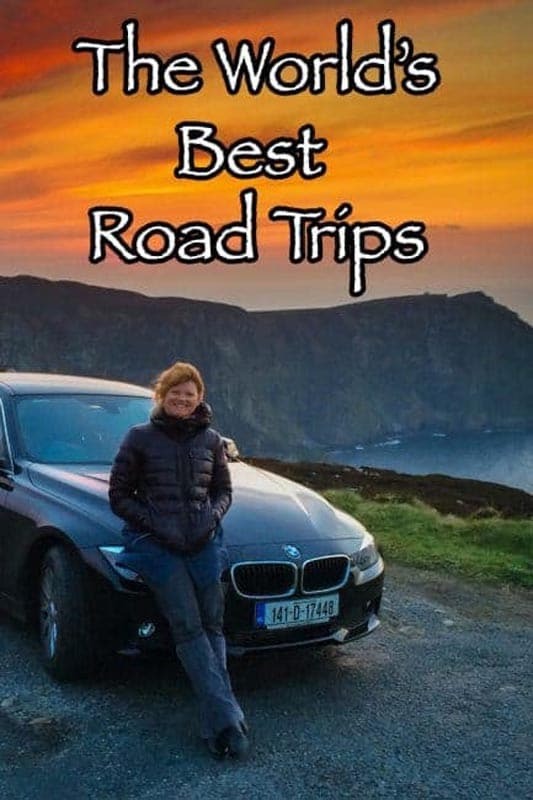 It's the longest Coastal Route in the World and Ireland has done an incredible job at marketing it as the best road trips on earth. The Wild Atlantic Way runs 2500 km up the Western Coast of Ireland. There are so many things to see and do on this route. Every day offers spectacular views of enormous sea cliffs, incredible beaches, and unique culture. This is a road trip that packs a huge punch in a short distance. It's Scotland's answer to America's Route 66. With legendary castles, extraordinary coastal scenery, and famous whisky distilleries lining the winding single track lanes, the North Coast 500 is the ultimate drive for travel lovers. At 500 miles long it is a touring route around Scotland's northern coast, starting in Inverness. 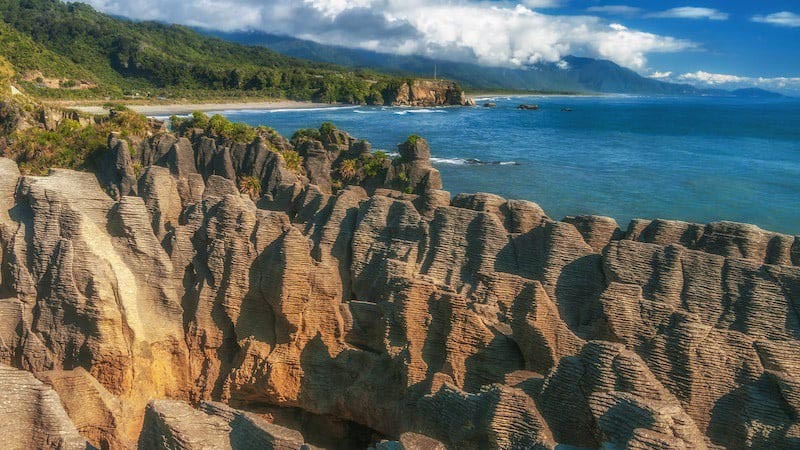 The Pancake Rocks are a must visit on a South Island Road Trip. The best way to see New Zealand is driving around independently. We travelled the South Island two ways, on a bus with the Flying Kiwi which was affordable and a great way to see the highlights, but once we took more time to explore with our own camper van, that's when the true road trip began. Just follow the roads in a circle around the island to explore all there is to see and do. New Zealand has a diverse landscape in a very little area. You'll be mesmerized by the changing landscape before your eyes at each and every turn. I think the best road trip in Europe is the Amalfi Coast. We fell in love with that drive from Sorrento to Ravello. There is a reason this drive along the most stunning sea cliffs on earth has been used in so many movies. The towns and lookouts along the coast are something out of a fairytale. They are just gorgeous. 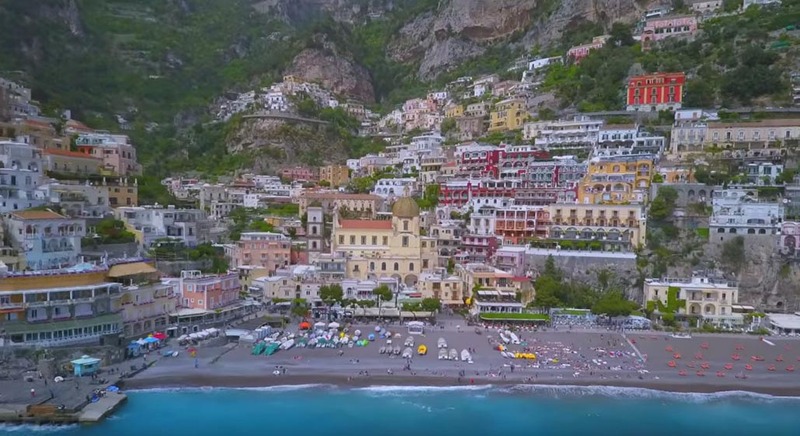 Highlights - Positano, Amalfi Town, Ravello, Sorrento, Beaches, Grottos, Capri, Hiking and Waterfalls. Australia is an amazing country to take a driving tour. 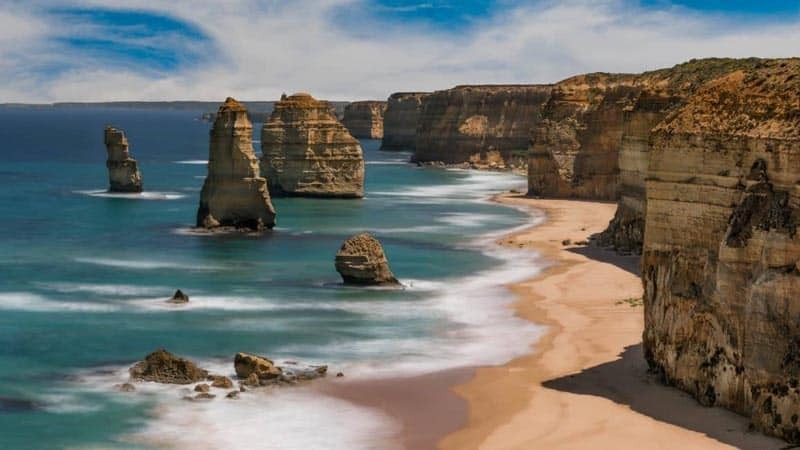 The Great Ocean Road is probably the most scenic road trip in the country. The route is more than 600km (400 miles) and drives along sea cliffs, jungles and out to amazing beaches. Some of the top beaches for surfing are located along this route. If you can, get out and hike because that is where you really get to witness the spectacular coast. Ireland is so amazing for driving, it actually has two epic road trips. 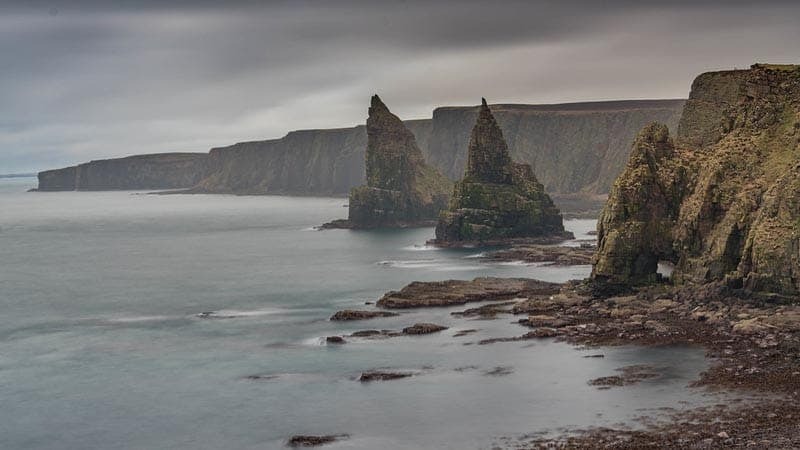 The Causeway Coastal Route is filled with stop after stop of amazing sights and scenery. 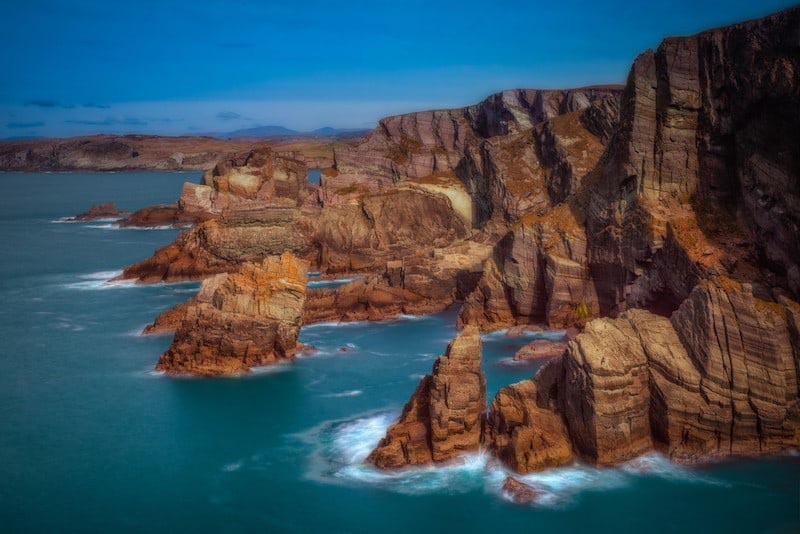 It's a much shorter route than the Wild Atlantic Way and it can be done in just a couple of days, but we recommend giving at least 4 days to explore this coast. We actually took 9 days to drive around Northern Ireland and it was perfect. Highlights - Giant's Causeway, Dark Hedges, Carrick-a-Rede Bridge, Belfast, Game of Thrones. People normally drive the route in 10 days to 2 weeks, but to really explore Iceland properly you should take longer. 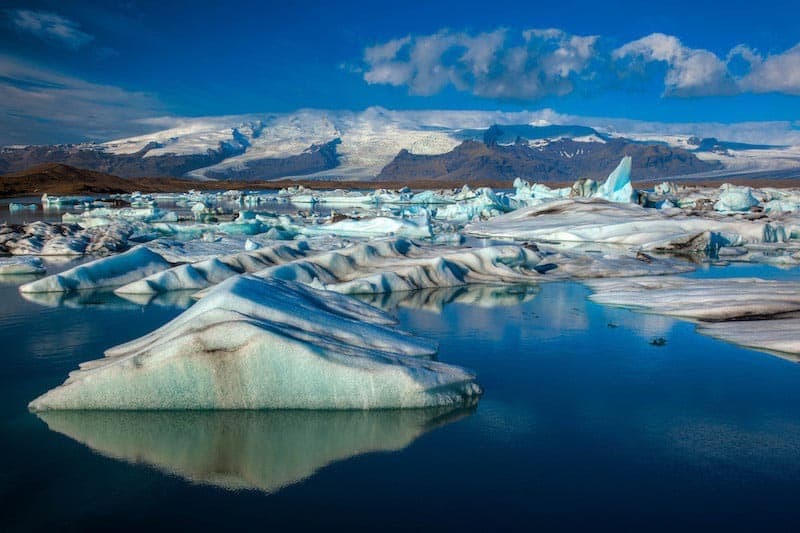 With magnificent glaciers, mountains, an untamed coastline and fascinating culture, The Iceland Ring Road is definitely one of the best road trips in the world. Speaking of Route 66, this road trip is very different from Scotland's incredible coast. We driven many different portions of Route 66, but you can drive this entire route from Chicago to California. Much of the 3,940km route is abandoned and decrepit as it was forgotten when the highway system was put in place, but there are parts that have been turned into national scenic byways in Illinois, Missouri, New Mexico, and Arizona. Highlights: Best portions are in Arizona, New Mexico, Missouri and Illinois. 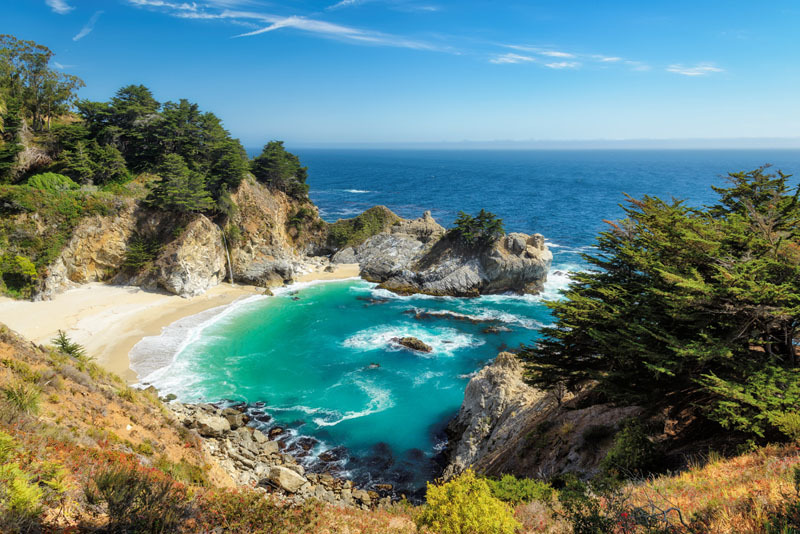 It's the most epic drive in the United States with iconic stops like the Bixby Bridge, McWay Falls, and Pfeiffer Beach. The drive starts in Monterrey and weaves down highway 1 to Los Angeles. 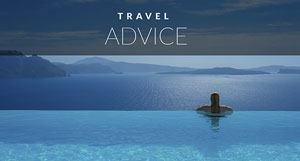 Make sure to stay the night in Monterrey or Carmel by the Sea. There is great kayaking in the marine reserve of Monterrey and Surfing in Carmel. It's a beautiful coastal highway with long stretches of beaches, impressive sea cliffs and legendary stops where movie stars and billionaires have hung out for decades to escape the hustle and bustle of California cities. This is the epic American route. Don't just drive in a straight line from San Francisco to Los Angeles, go everywhere in between. This road trip takes you through four different states and showcases the best of America's National Parks and cities. It takes you through the most rugged and beautiful landscapes of America and you visit the most exciting cities in the country. It's just a short drive, but everyone who goes to Maui raves about the Hana Highway. This (mostly) single lane road is a day trip spans the North Coast of the Island from Paia to Hana. It twists and turns and you cross 59 bridges during the 2-3 hour drive (one way) there are many scenic stops along the way, but the real beauty begins after Hana when you reach Haleakala National Park. It may be a shorty, but it is a goodie. You can take an entire day exploring 17-Mile Drive at Carmel By the Sea. If you are looking for a different way of road tripping, try e-biking instead of going in a car. A road trip doesn't have to be always in a car, we've included cycling Africa as one of our best road trips we've ever done! Highlights: Ghost Tree, Bird Rock, the Lone Cypress, Spanish Bay, John Denver Memorial, Beaches, Links at Spanish Bay, Pebble Cove. Road trips can take many forms and we circumnavigated the world's largestfreshwaterr lake by motorcycle. The Lake Superior Circle Tour is one of the epic motorcycle routes in North America, but it's also fabulous in a car. 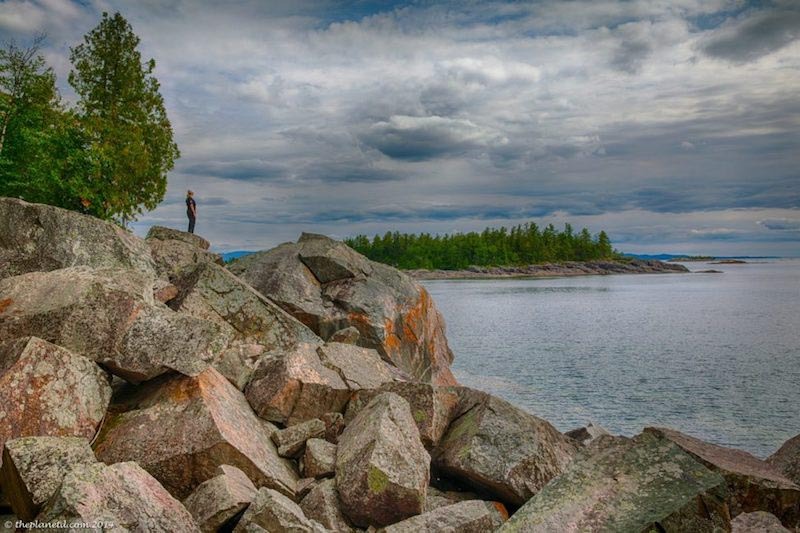 From the sandy shores of the southern shore to the rocky high sea cliffs of the wild north, this is an unexpected route through Ontario, Michigan, Wisconson and Minnesota. Travel through small town USA, historic treasures and the wild abandoned North of Ontario, this road trip is magnificent. Duration: 4 days to 2 weeks. 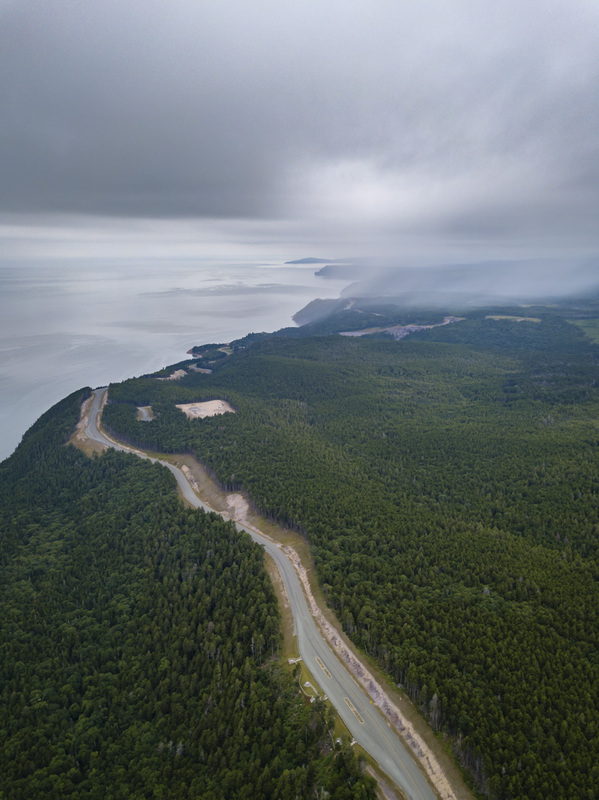 The Cabot Trail is one of Canada's Ultimate Scenic Highways. 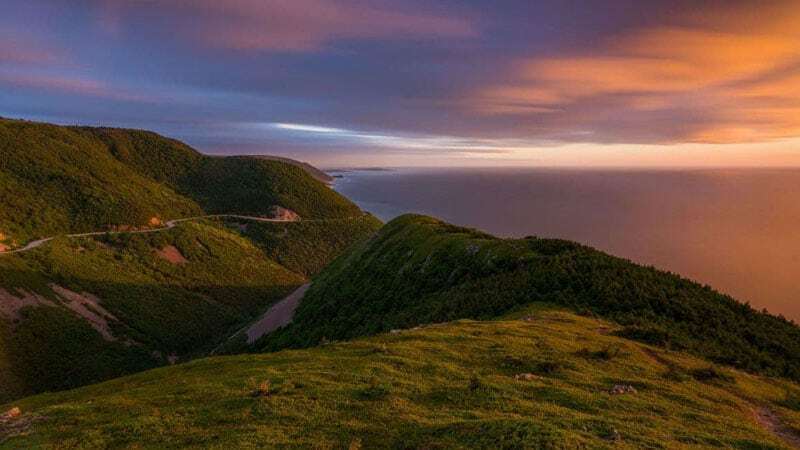 Located on Nova Scotia's Cape Breton Island, it is filled with sea cliffs, coastal hikes, beaches, and untamed wilderness. You'll see moose on the Skyline walk, whales on kayaking and scenic boat trips and stunning sunsets over the Gulf of St. Lawrence explore the best scenic stops in the country. Highlights: Skyline Trail, Alexander Graham Bell's house, Uisge Ban Waterfall Hike, North River Kayaking, Ingonish Beach, Middle Head Trail, Boat Tours, whale watching and wildlife. 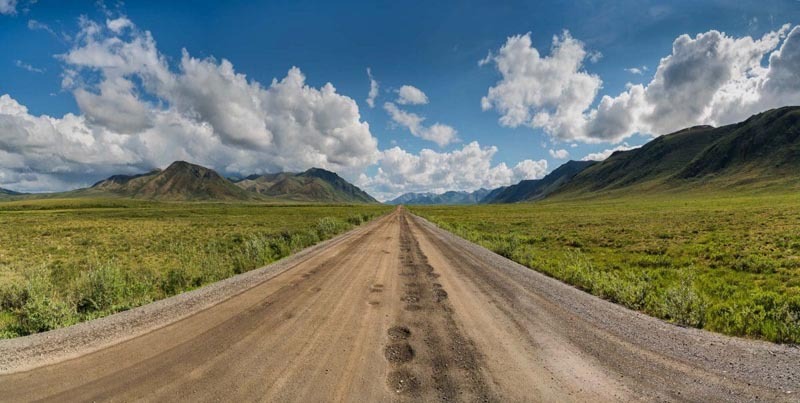 For the ultimate road trip adventure, there's not a lot that compares to the Dempster Highway. You can drive to the Arctic on the Dempster Highway and that is exactly what we did. In the province of New Brunswick is one of the most beautiful coastal drives in Canada. Famous for the Hopewell Rocks, we drove along the Bay of Fundy and witnessed giant sea cliffs plunging into the sea. There are secluded and isolated beaches, it crosses through the Fundy National Park where you can hike to waterfalls and lookouts and it drives along one of the longest undeveloped coastlines in North America. Highlights: Hopewell Rocks, Saint Stephen's Sea Caves, Fundy National Park, Cape Enrage, Town of Alma, Covered Bridges. If you love getting away from it all and having a rip-roaring adventure, the Cowboy Trail is for you. This is one of our favourite road trips we've ever done. Following the route through Southern Alberta is easy, well marked and filled with activities and beauty. 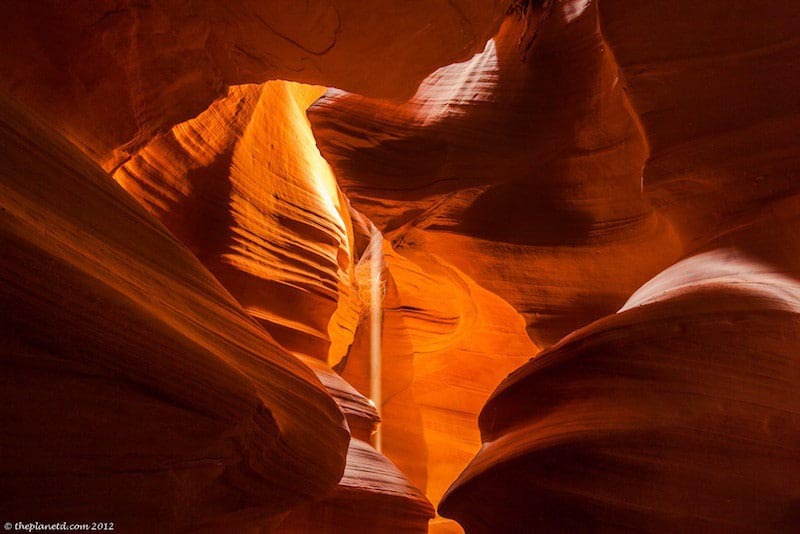 There is something to see every single day and this trip will surprise you. 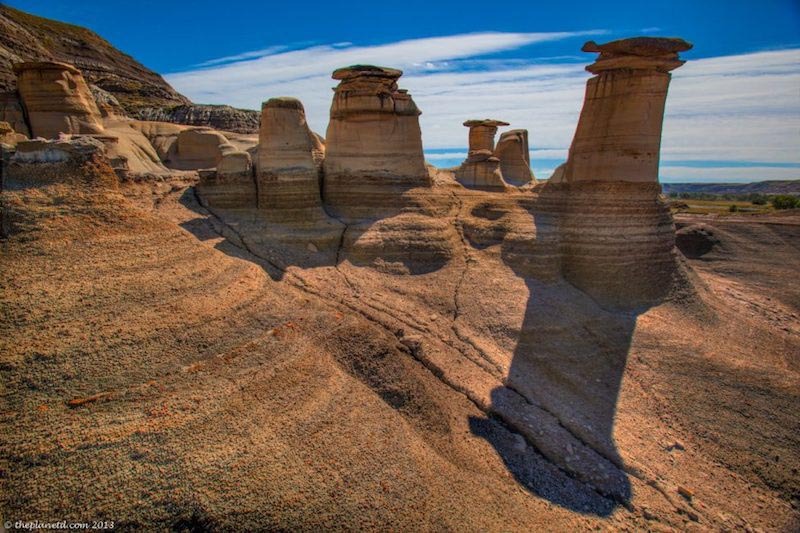 From the lunar landscape of the badlands to where the great plains meet the Rocky Mountains, you'll be driving through the varied landscapes that will take your breath away. Another Great Alberta road trip is the Glacier Park Highway From Banff to Jasper. Stunning views, glaciers, hikes and Rocky Mountains. I always thought the Garden Route of South Africa sounded a little tame. I had visions of sipping tea in manicured gardens as we overlooked the ocean, but this road trip is filled with amazing adventure, striking coastlines, wild animals, incredible nature and world class wine and dining. The Garden Route is the southern half of the Durban to Cape Town road trip but we highly recommend doing the entire thing. 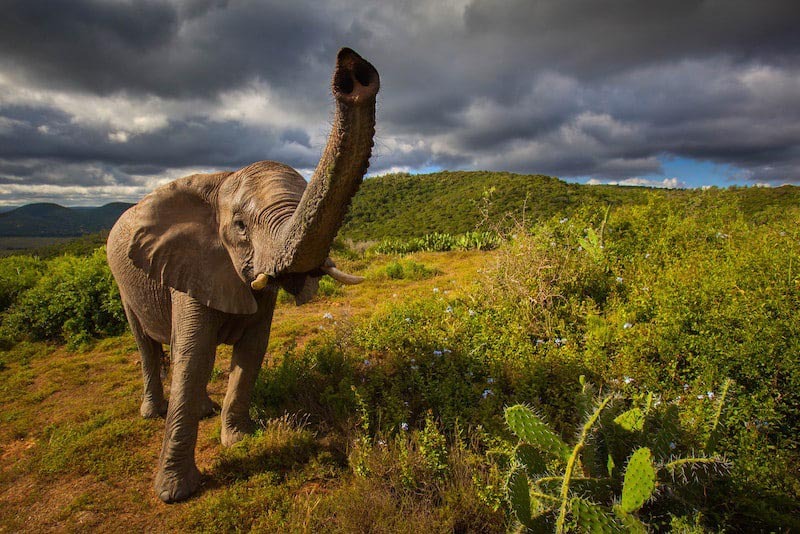 South Africa has it all in one of the most exotic and beautiful places on earth. We said early that road trips take many forms, so we wanted to include this one as well. Even though we did it by bicycle, you can drive an SUV or motorcycle down the Eastern side of Africa. 12,000 km takes you through some of the most fascinating countries on earth. Landscapes and cultures vary drastically as you start in the desert landscape of Egypt's Middle East and the Islamic culture of Sudan. 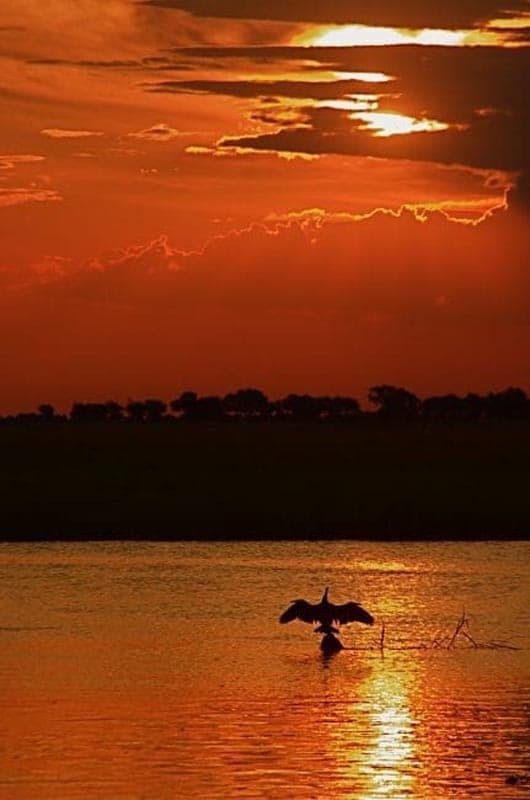 It's then into the great plains, jungles, and wildlife of Eastern and Southern Africa that takes you all the way down to the Southern point of the continent. Wow! You can drive this epic route down Africa going through 9 countries: Egypt, Ethiopia, Sudan, Kenya, Tanzania, Malawi, Botswana, Zambia, South Africa. It's the mother of all road trips and if you are up for the adventure of a lifetime, this is a must. The Mongol Rally is a charity rally starting in London, England and ending in Ulanbataar, Mongolia. You choose your route and take as long as you want to get there. You just have to raise a certain amount of money for charity and buy a car that used to be donated to the country, but now must be shipped back when you finished. Or if you have loads of time, drive it back around in a different route! 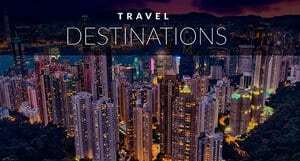 Highlights - 15 countries, 2 continents, endless possibilities - Siberia, The Mongolian Steppe, Prague, Brussels, Kiev, Kazakhstan, it all really depends on the route you choose to take. Countries include: England, France, Belgium, Germany, Czech Republic, Slovakia, Tip of Austria, Hungary, Romania, Moldova, Ukraine, Kazakhstan, Kyrgyzstan, Mongolia. 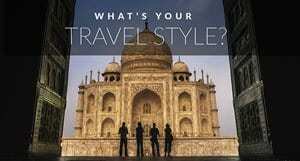 57 Responses to "20 of The Best Road Trips in the World"
Looks like you have not traversed the entire Route 66 so let’s do it. When do you want to go? I’d add the Corniche, the drive along the French Riviera coastline from St Tropez to Cannes, past and then on to Juan Les Pins, Antibes and Nice, a really brilliant drive. In search of freedom and liberty, I quit my job and started my business. Hope this venture of mine goes successful. If that happens, the first thing that I am gonna do is spend a nice and a long vacation with my family. Amazing photos, great list of Road trips. You guys done a great job. Thanks for sharing your experience with us. I think Ireland will be one for us soon ? Headed to the US soon but no roadtrip one this trip! Another nice but short road-trip is from Lisbon to Faro at the west-coast of Portugal. I did this last year with a friend and it was awesome! Although the weather wasn’t that good we saw a lot of beautiful bay areas. forests and hidden cliffs! Wow these are all epic, I would love to do some of these road trips – fantastic post! Great list! I’d love to take one of these road trips one day. 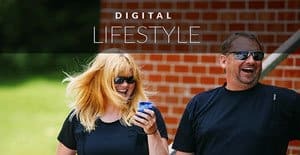 Thanks for sharing..
We me and my wife are getting ready for a European roadtrip in a mobile home do you have any expirience or tips of that? We haven’t done a European mobile home trip, but we did have a campervan in New Zealand. just have a great time, be flexible and enjoy the campgrounds. We’ve stayed at a few campgrounds in Europe and they are excellent! They’re often close to cities and some even have shuttles. I have almost finished 2500km walk around Ireland, doing both the Coastal walk, and the Wild Atlantic way, the published distance is a bit missleading, you would have to go back and forth on every sign poated road for the WAW to be 2500. That said , it is spectacular. Massive list!! You guys have done on a lot! 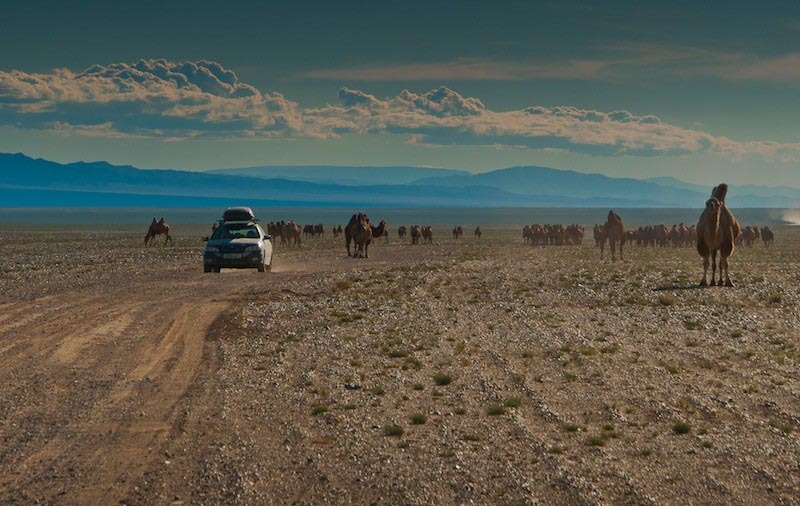 Currently doing a massive road trip to Mongolia, inspired by the mongol rally. One good roadtrip that you guys ‘should’ do is the Transfagarasan in Romania. 90 km both ways and very scenic! That’s a good idea. We’d like to do it again but take a few months. There’s so much to see and so many different routes. The Mongol Rally was a blast, but longer would be better. Thanks for the suggestion about Romania. We drove through Romania during the Mongol Rally, but I’m not sure if we went that route. Cheers! They are a great way to see the world aren’t they? Some incredibly beautiful places…… all the pics in this post are worthy of becoming wallpaper on my laptop……. I will make at least a couple of these my laptop wallpapers!! Some of these are still on the bucket list, and while the LA to SF is one of the shortest it is one of my favorite! So many people think California is just LA and don’t take the time to spend the extra couple days to enjoy the AMAZING drive up the coast. Carmel might just be one of my favorite little towns on Earth! Great list! I’d love to take one of these road trips one day. Thanks for sharing! Thank you Sanjana. You would love any one of these road trips. We definitely did. Amazing photos, great list of Road trips. Though I’m a hiking lover but you did succeed in encouraging me to try road trips. I don’t know how to drive and my parents never taught me. Maybe I can ask my parents to drive for me and explore all of this area. Glad we could entice you to give road trips a try. We love hiking too. The great thing about a road trip, is you can take time off to go for a hike. The car gives you freedom to do whatever you like. I think your parents would love a road trip too! Thanks Sophie! Have a great time road tripping! I would love to go to Norway, hopefully one day soon, that is one long coas.t We’ll be sure to rent a car! Dave & Deb, having just made the legendary road-trip along California’s Highway One, I’m eager to do more, and like the look of the drives that you included here. Another one of our favorites has been exploring the Dalmatian coastline in Croatia, and then crossing into Montenegro and Albania too. 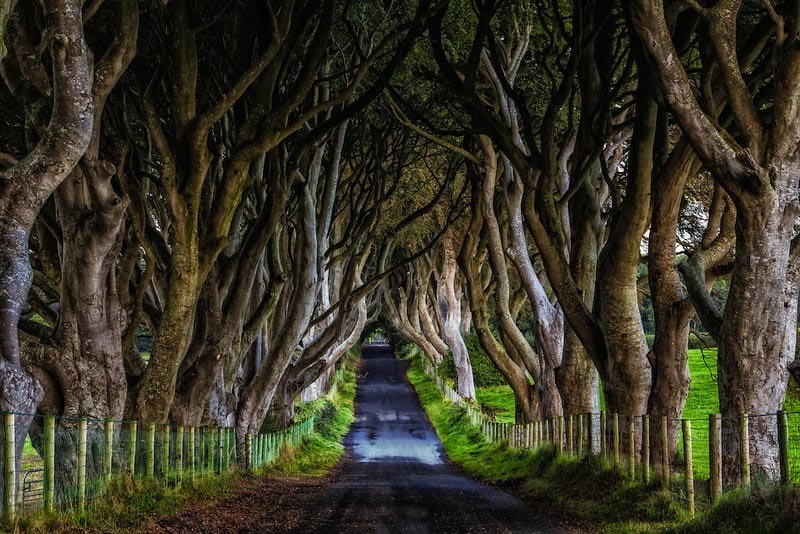 Love your captures, particularly those from Hawaii and Dark Hedges,. 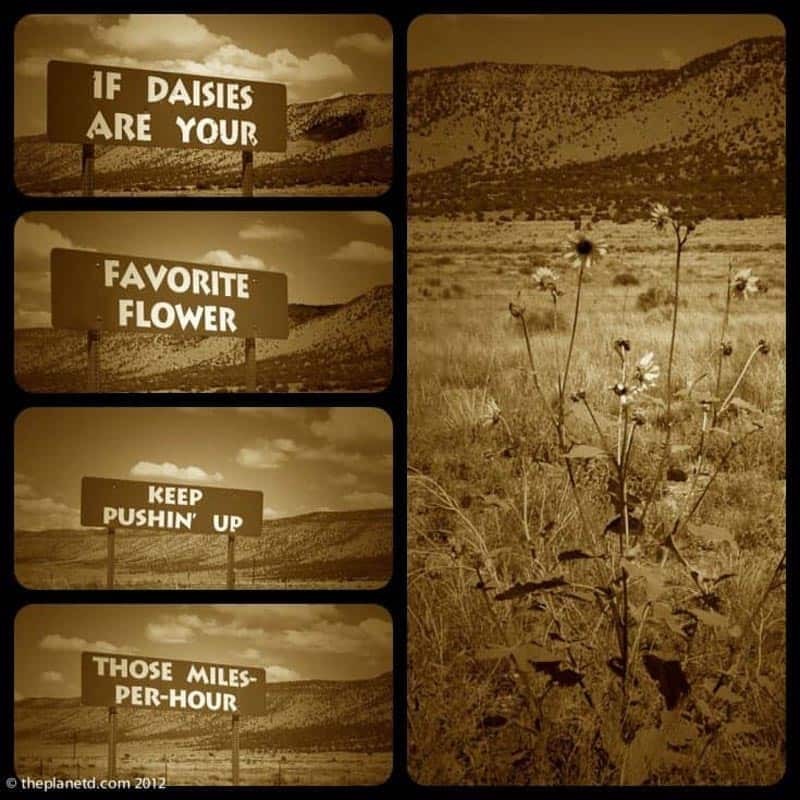 They sound like awesome road trips, thanks for sharing! WE havne’t been to Montenegro or Albania, I smell another road trip on the horizon! Thanks for the compliment regarding the photographs. It’s pretty easy to be inspired by such beautiful destinations. Some great exciting road trips, im from New Zealand and have yet done a South Island road trip, although many of my friends have and say it is amazing! Thank you! You’ll definitely have to get that South Island road trip in, it’s amazing! I have done a few of these road trips that you mentioned, but nothing to the level that you guys have done. The pictures are fabulous. Your mention of the Route 66 road trip brought back memories to me. I made a cross country road trip of the USA where most of it was on Route 66 when they were still building the interstate highway system, so most the the route was still there. I am so glad that I did because a lot of that is gone now and I have memories that cannot be duplicated today. I am intrigued with Canada and would love to take a trip across the southern portion. I would also enjoy such a trip by train and leave the driving to them. I heard there is such a great trip available. Hey Bob, that would have been amazing. We only gave it an honorable mention because we haven’t done the entire thing. We felt that we couldn’t properly say we’ve done Route 66 when we’ve only done portions. Now to do the whole thing, that would be amazing. I’d love to do it on a motorcycle. You would love visiting Canada, In the summer, it’s beautiful. A road trip through the Rockies is outstanding. Loved doing road trips in South Africa and in South Island New Zealand where the blues are the most gorgeous hues we have ever seen! Next time, do try the Route 62 from Cape Town to Port Elizabeth in South Africa – the towering cliffs just come at you! Also you two will love the east coastal drive in Sri Lanka – although hugging the east coast, the route also takes you inland through some rugged terrain with elephants. Lovely images – thanks for inspiring us. Sounds fantastic! Thanks for the recommendations. You could spend a lifetime doing road trips around the world and barely scratch the surface. We didn’t get to explore much of the Eastern Sri Lankan Coast, another reason to go back! South Island, New Zealand is very beautiful place in world. Really I like this place very much. Anyone can be more delighted to come here. thanks for this compilation. It will now be on my bucket list before I turn 60. 10 years to go. Keep exploring guys ! Hi Victoria, Thanks for the compliment. Sounds like you’ve done some awesome road trips. I call Berlin to London a road trip for sure. Anytime you drive and travel, it’s a road trip to me! Love it! 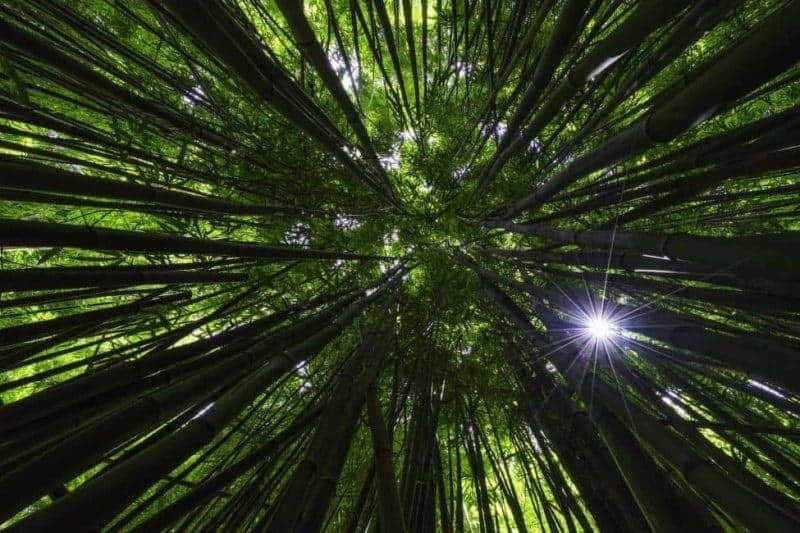 Thanks Mike, that bamboo forest is pretty incredible eh? I’ll definitely check out the video, thanks for sharing. Would love to do every single one of the road trips you mentioned above. Especially the Mongol Rally would be something I´d love to do. My aunt and uncle did it a couple of years ago and they fell in love with the landscape in Mongolia. If you have a chance you should do a road trip in Southern France. The Lavender Route is a great route where you will drive along one of the largest canyons in Europe and you will drive past the famous lavender fields. Your Aunt and Uncle are right. The landscape of Mongolia is so beautiful, we both really want to go back. We’ve actually done Southern France, I should have included that one! We went from Paris through the South of France, into Spain and then over to the Cinque Terre in Italy. You’ve reminded me that I will have to add it to this list when I get a chance. Great list!! We are currently driving the Wild Atlantic Way in Ireland! Also headed to the Causeway Coast. Love the Lake Superior Circle Tour (Duluth/Superior is our home town!!!) and loved the Road to Hana. Nothing like a great road trip. Have an amazing time on the Wild Atlantic Way! It’s incredible isn’t it? And enjoy the Causeway Coast,try to stay over night at the Giant’s Causeway to see it in the morning or at sunset without all the tour buses there. Totally worth it. Thanks Johnny! And thanks for the inspiration it was #TravelSkills that got me thinking about putting all the road trips together! I’ve only been to a few of these road trips, looks like quite a few more I would need to add to my bucket list – gorgeous pics!